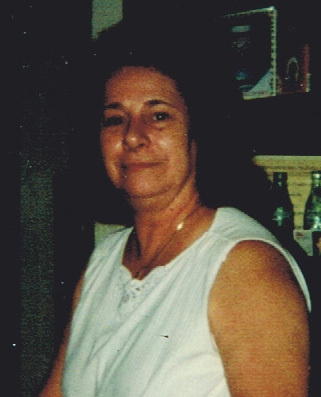 Emily Anita Underwood “Nita” Veazey of Union Point, GA, died on Friday, June 1, 2018 at St. Mary’s Hospital in Athens, GA at the age of 80. Nita was born in Union Point, GA on February 25, 1938, the daughter of the late Emmett Hamilton Underwood, Jr. and Ardelle Davis Underwood. She graduated from Union Point High School and married Robert Lee Veazey and they made their home in Union Point, GA. In addition to being a homemaker, Nita was an employee at Lord’s Galaxy Foods in Union Point until she retired in 2004. Nita attended the First United Methodist Church of Union Point. She was loved by everyone who knew her and was a wonderful mother and grandmother, who gave of her time to family and friends. She loved vegetable and flower gardening, crocheting, sewing and especially her cats. She was preceded in death by her husband, Robert Lee Veazey and a great grandson, Jace Sherrer. She is survived by two daughters, Sandra Godbee (Todd) of Union Point, GA and Zoeann Sanders (Joey) of Alabama; seven grandchildren: Amy Miller, Alan Sherrer, Renee Cook, Gina Moreland, Valerie Underwood, Sam Buford and Kelly Sanders; twenty-three great and great-great grandchildren; many other relatives and friends. Memorial Services will be held Monday, June 4, 2018 at 11:00 a.m. at Callaway Funeral Home Chapel, 208 N. Rhodes Street, Union Point, GA 30669 with Rev. Reggie Haslett officiating. The family will receive friends Monday from 10:00 a.m. until time for the service at Callaway Funeral Home in Union Point. Callaway Funeral Home, 208 N. Rhodes Street, Union Point, GA, (706) 486-4138, is in charge of arrangements. Visit us at www.mccommonsfuneralhome.com to sign the online guest register.